Sensei Rick Llewelyn has been invited to be a Guest Instructor at the 1st Inaugural Spring Keiko with Sensei Rick Hotton on April 12-14th, 2019 at Tony Hunt's Seishin Shotokan in Auburn , CA. There are a few hotels in Auburn. We recommend the Best Western Golden Key, located about 10 minutes from the dojo. 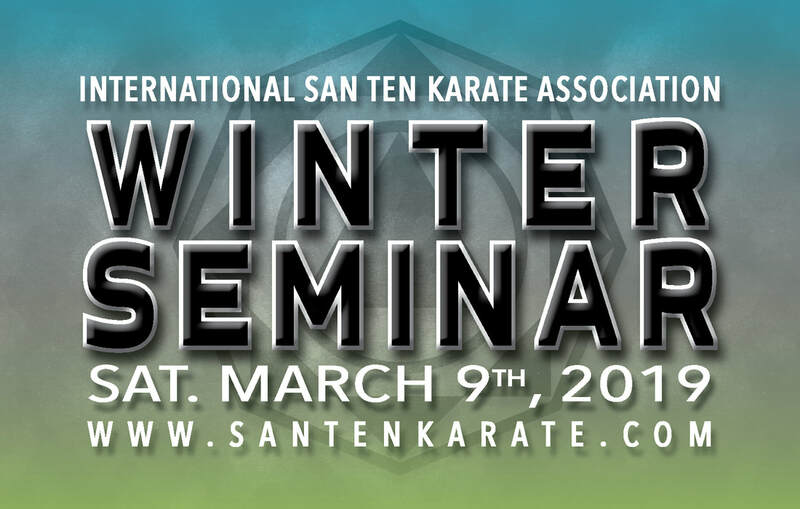 If you have any questions, please email us at info@santenkarate.com or contact SMK directly. 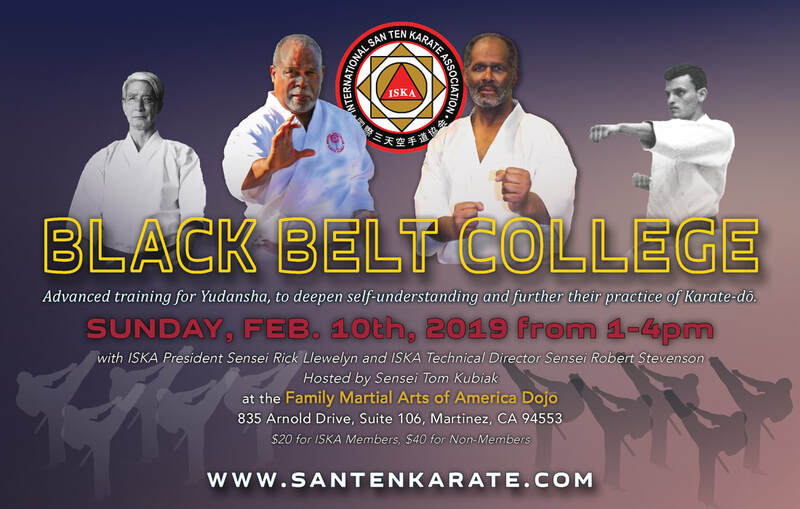 The first Black Belt College of 2019 coming up on Sunday, February 10th in Martinez, CA from 1-4pm. 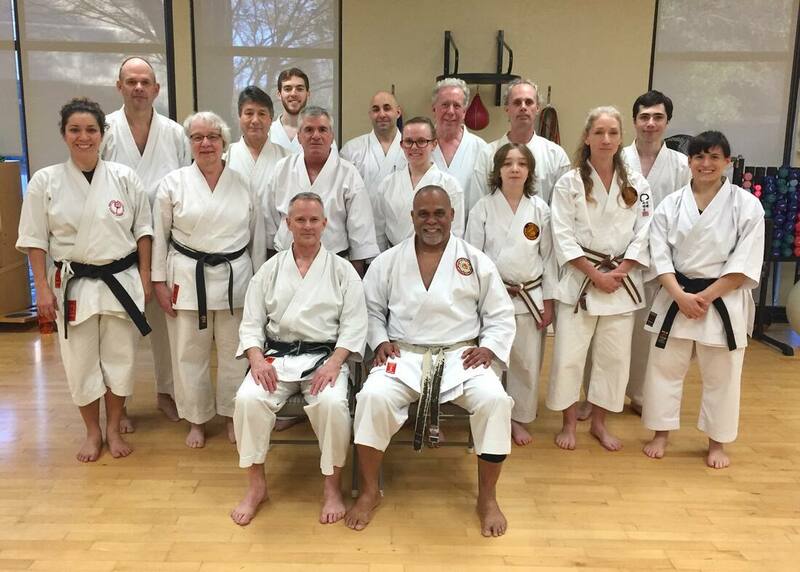 Hanshi Llewelyn would like to thank Sensei John Leggett, of Sacramento Traditional Shotokan Karate, for hosting the ISKA Advanced Kata Review on Saturday, January 12th, in Sacramento and thank you to all the black belts who led specific kata reviews. Kata is the bedrock of solid karate practice and it is important that we cultivate breadth and depth when it comes to kata. More than a dance, kata are simulated fight scenarios that teach body dynamic, balance, timing, and correct spirit, amongst other things. It is refreshing to review them in their entirety and to be reminded that there is always much more to learn. The journey never ends... onward we go. We hope everyone had a great holiday season. We have many events planned for this year we and we look forward to doing more outreach in the Martial Arts community as well. We hope you will plan to join us. We hosted 6 Black Belt College Sessions with on average 20 people attending each session. Hanshi Stevenson & Hanshi Llewelyn taught roughly 15 seminars or training sessions equalling roughly 75 hours of instruction each - in addition to their regular teaching duties. We had 4 Competition Team Trainings and attended 3 major local tournaments and mentored about 20 students on an ongoing basis in kata and kumite competition strategies. We had 185 registered members and 14 registered dojos and many others with students who registered independently to attend our events. There were 14 ISKA-sanctioned Dan rank promotions -6 shodan, 3 nidan, 5 sandan and many kyu rank promotions. 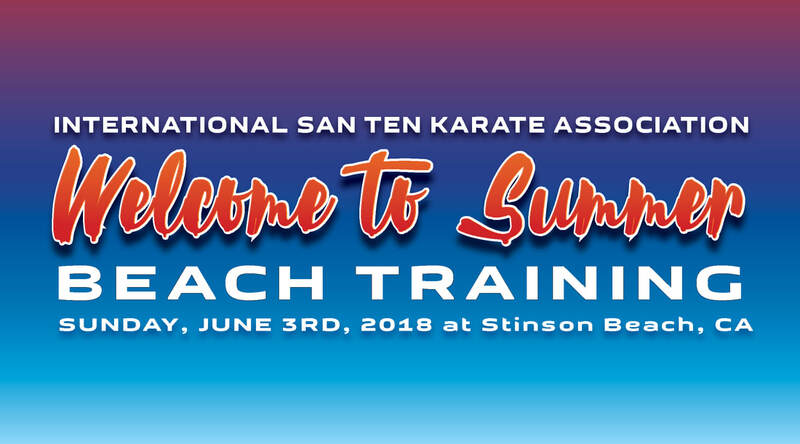 We invited 2 outside instructors to join us at a couple of our events this year - Coach/Sensei Tony DeSousa (May Thai, MMA, Karate, & Tae Kwon Do) to our June Black Belt College session and Sensei Rick Hotton (Karate & Aikido) to our 30th Annual ISKA Summer Camp (held at a new location this year). Our YouTube Channel received 13, 200 views with over 28,000 minutes of viewing time in 2018. 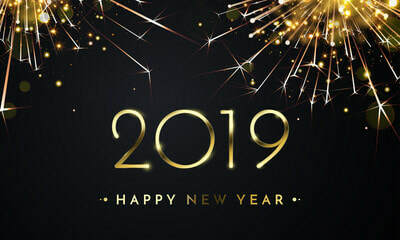 Here's to hoping that 2019 is even better than 2018! We have a similar schedule to last year's lineup of events, with one minor change: This year's Black Belt College series has been revised to a quarterly schedule - a slight departure from the bimonthly schedule that we held for the past 2 years. We do also intend to hold some additional training sessions addressing Bunkai Training, but not explicitly a part of the Black Belt College sessions. Stay tuned for details on this. Our 2019 tentative event schedule is linked below. We ​look forward to training with you all in the year ahead! 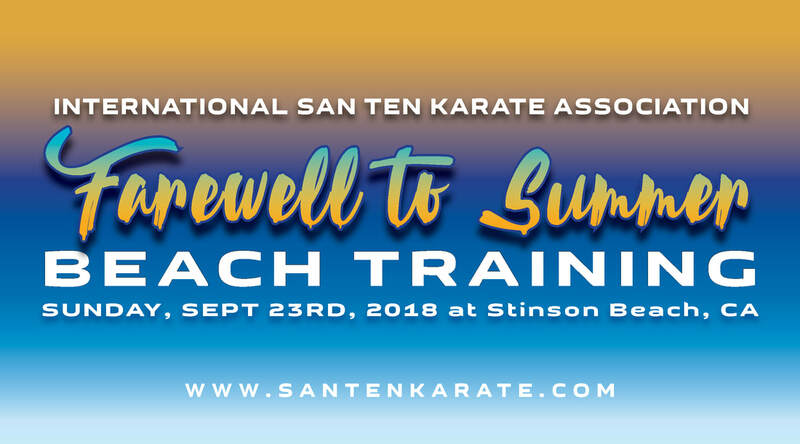 Join us as we say goodbye to summer with a refreshing beach karate workout on Sunday, Sept. 23rd, 2018 from ~9am-1pm at Stinson Beach in Marin County. Following the training, we will have a fun potluck - so please bring something to share! We welcome other karate groups to join us. Training is free. We usually do a brief warmup, kihon drills, kata, and some special water exercises. Park opens at 9am, arrive a little early for a good parking spot. Training to begin at 9:15am. Lunch around noon. We recommend to bring a change of clothes and a couple of towels and trash bags for after training. Please let us know you are coming by RSVPing to info@santenkarate.com. Thank you in advance. Join the Facebook Event or Download the event flyer. The 30th Annual ISKA Summer Camp is now behind us. This was the first year in a new location in La Honda, CA and this year's camp featured Sunday Morning Keiko Founder, Sensei Rick Hotton as well as other San Ten Sensei. Students attended the camp from various states (New York, Colorado, Florida, Utah, and Arizona) and all over California. There was a little bit for everyone and Sensei Hotton's teachings shed some insight into a different approach to karate. He is a very charismatic and approachable instructor, very much an artist and philosopher, and if you haven't had a chance yet to train with him in person, we would highly recommend it. I would like to thank everyone who attended the 2018 30th ISKA Summer Camp this past weekend, especially Laura Lorenz and Robert Stevenson, who collaborate with me to keep the ISKA alive and vibrant. A special thank you to the amazing Sensei Rick Hotton who as our special guest instructor helped to make the 30th ISKA Summer Camp a smashing success. I would like to thank the members of Sunday Morning Keiko and other Dojos who participated in this event. I would like to send a HUGE thank you to the presenting instructors who made this a successful event especially Hanshi Robert Stevenson, Hanshi Justin Butler, Kyoshi Peter Johnson, Sensei Steve Borkowsky, Sensei Dianne Laverne, Sensei David Laverne and Sensei John Leggett. Thank you Sensei Cindy Hellman-Wyllie, Sensei Elizabeth Iparraguirre for your assistance with some of the logistics of the camp and Laura Lorenz for her arduous, meticulous efforts ensuring that every detail was considered in the plans for the camp. This event for me was a rekindling of old friendships, especially with the presence of Kyoshi Dennis Debranche from NY who I have not seen in a couple decades. It was also the start of what I anticipate will be lifelong friendships with Sensei Hotton, Sensei Calderon, Shihan David Gould and many others who I met personally for the first time. Everyone who attended brought something special to our 30th Camp. The energy was high, appetite for learning and sharing was palpable and overall it was an extremely positive experience. Gracias a Sensei Delgado y Frank Ramirez por tu participación. Thank you Sensei Imamura for representing the Fremont Shotokan Karate Dojo. We plan to post more on our Youtube channel in a few weeks, stay tuned. Sensei Rick Hotton - Using momentum of the whole body to generate forward power. Sensei Rick Hotton - Proper alignment of the wrist and striking surface of the hand, energy transfer through the torso, utilizing the lat muscles. Next year's ISKA Summer Camp is tentatively scheduled for the second weekend in August, 2019. Stay tuned throughout the year for updates. We will also discuss where we would like to hold next year's camp. If you attended this year's camp and have not yet given us feedback on the experience, we welcome you to do so. Send us an email to info@santenkarate.com. Check out our upcoming events and local karate events to join us for more training! Osu. 30th Annual ISKA Summer Camp This Weekend! We are excited to host Sensei Rick Hotton this weekend, August 10-12th for the 30th Annual ISKA Summer Camp. Registration begins at 3pm on Friday at YMCA Camp Jones Gulch in La Honda, CA. This year's camp is in a different location from past years. We still have a couple of spots open for last minute attendees, including a couple of Saturday-only spots. If you are interested, please email us at info@santenkarate.com. For more information about this year's camp, please click here. We look forward to seeing everyone on Friday afternoon! The 30th Annual ISKA Summer Camp is now just a month away! Friday, Aug. 10th -Sunday, Aug. 12th, 2018! We will need a headcount no later than Aug. 1st. PLEASE fill out the online pre-registration form to reserve your spot. 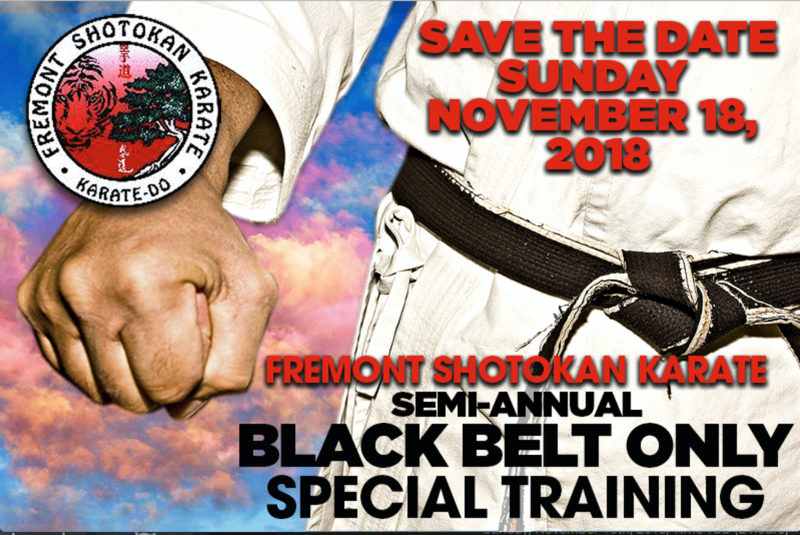 or call Hanshi Rick Llewelyn at (510) 599-0581. Here are a few upcoming events for summer, including our biggest event of the year, the ISKA Summer Camp. We are excited to be hosting special guest instructor, Sensei Rick Hotton, Founder of Sunday Morning Keiko, and inspirational karate teacher. We look forward to a great summer of excellent and enriching training and fellowship! 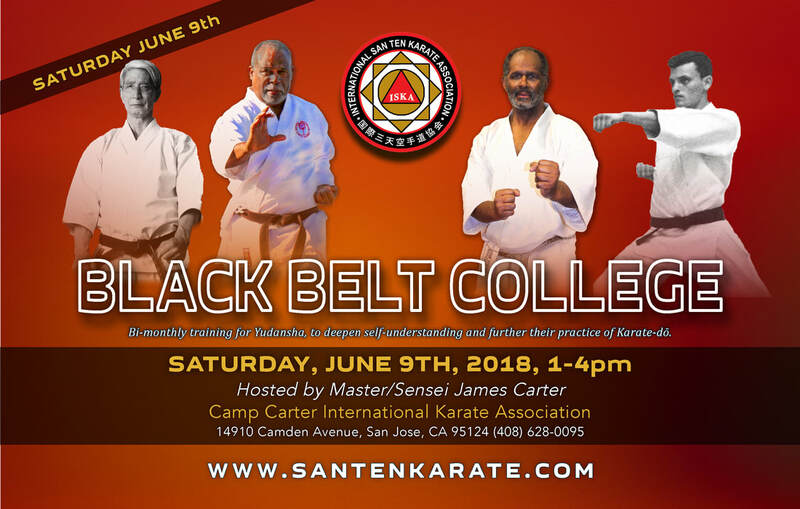 If you have any questions, please email us at info@santenkarate.com. Please note that the Sunday session is in a different location from Saturday. 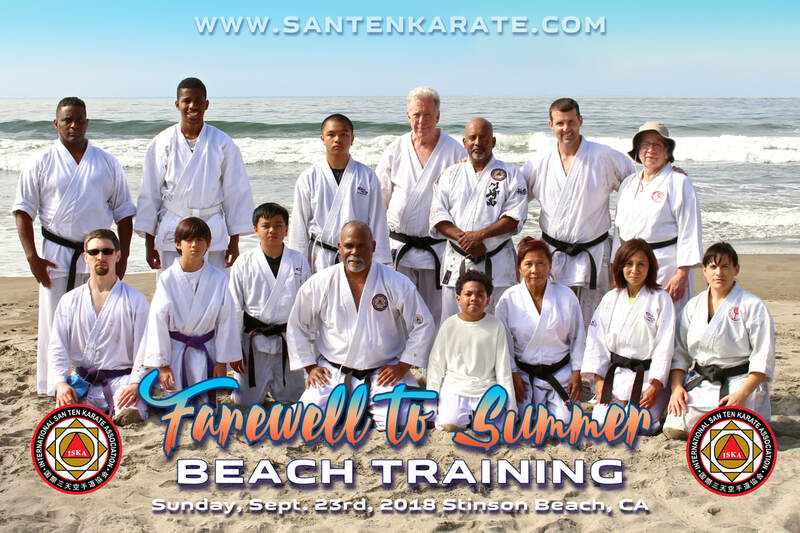 Join us for karate training on the beach! Training begins at 9am. Please bring food for the potluck to follow training. Click here for the potluck sign up sheet. Cost: $20 for current ISKA Members, $40 for non-members or join ISKA for $35, renewed annually. 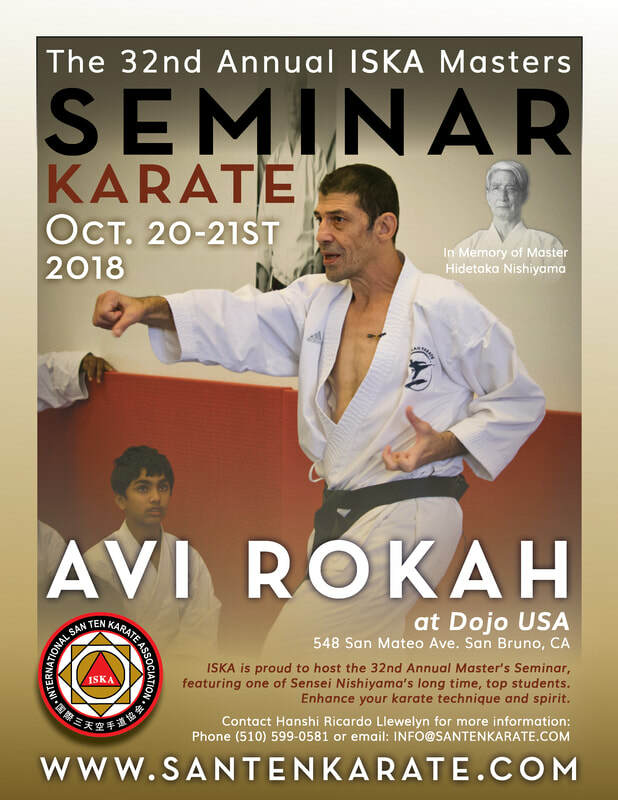 about upcoming Bay Area Karate Events here. ​If you have any events to add to our list, please email us at info@santenkarate.com. We have some very exciting news to share about the 2018 ISKA Summer Camp. For the past 29 years we have held the camp at the Jack Boyd Outdoor School in Fish Camp. At the end of March, we received a notice of cancelation of our reservation for the Fish Camp location due to some major repairs being undertaken at the Outdoor School over this summer, namely replacement of the septic tank. Several of the ISKA Black Belts jumped into action to help identify and secure an alternate location for the 2018 camp. I would like to personally thank Kyoshi Peter Johnson for the recommendation and Master Sensei Carter for physically visiting the location and videoing the site for us to view. 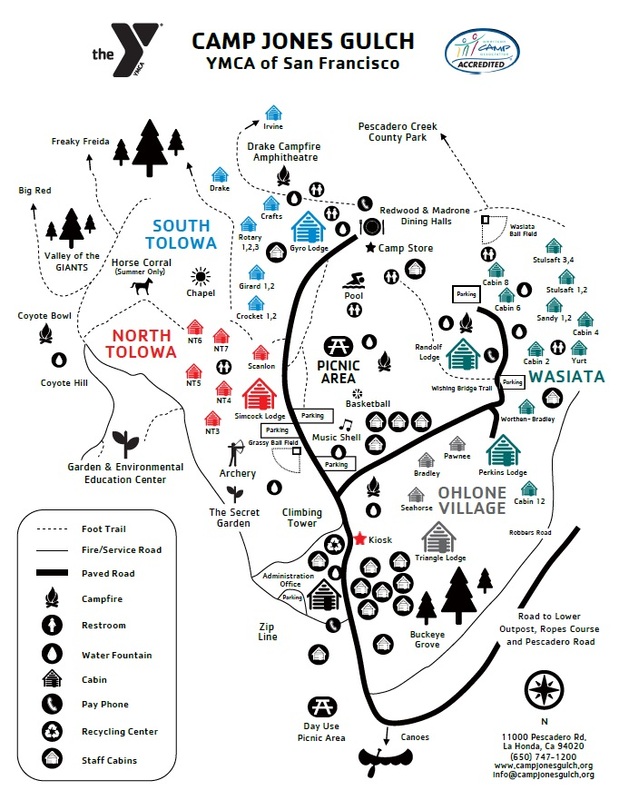 The YMCA Camp has 4 Villages and the ISKA Summer Camp will be held at the Wasiata Village at the YMCA Camp. 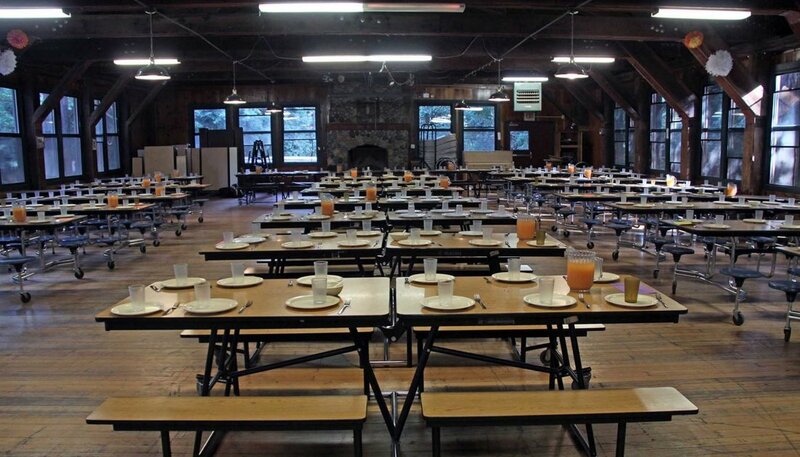 The logistics of the YMCA camp are similar to the ones at the Fish Camp with bunkhouse accommodations. 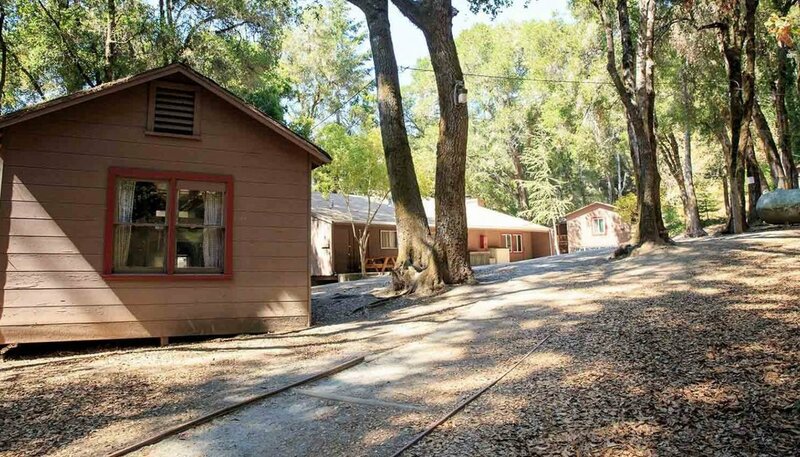 One major advantage is that the YMCA Camp is located an hour from the San Francisco or San Jose airports, for easy access via Super Shuttle, other airport shuttles or Uber, which is a plus for participants traveling from International and National locations. We will also have a dedicated training hall, the Perkins Lodge, separate from the dining hall. There are many other positive amenities of this location. Click here to visit the Facebook Page for the Camp Jones Gulch. 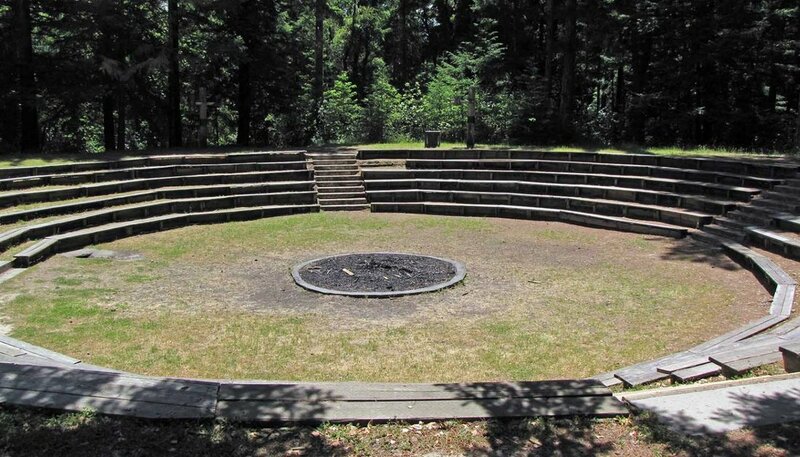 This year there will be a campfire, since the YMCA camp has no fire restrictions! Please mark your calendar for this exciting event and be on the alert for more upcoming information. ​and training schedule COMING SOON! 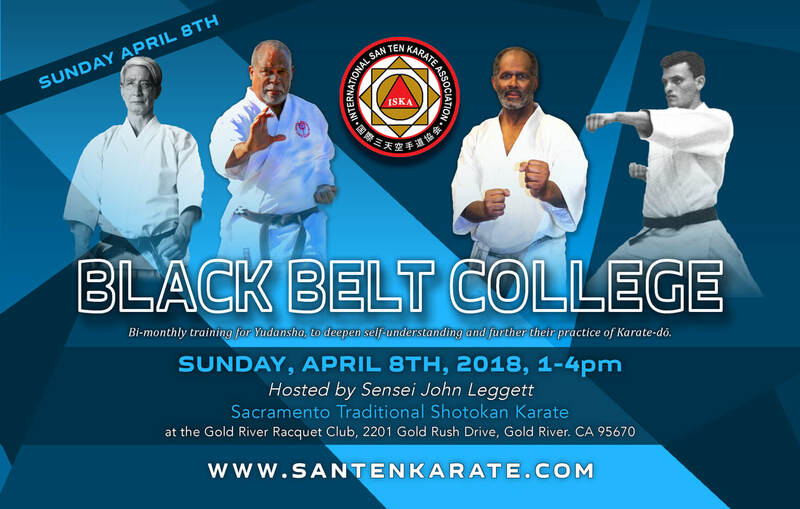 Just a reminder that the second session of the ISKA Black Belt College is tomorrow, Sunday, Apr. 8th from 1-4pm at Sensei John Leggett's dojo, Sacramento Traditional Karate, in Gold River, CA, near Sacramento. Register ahead of time online or pay in person at the session. 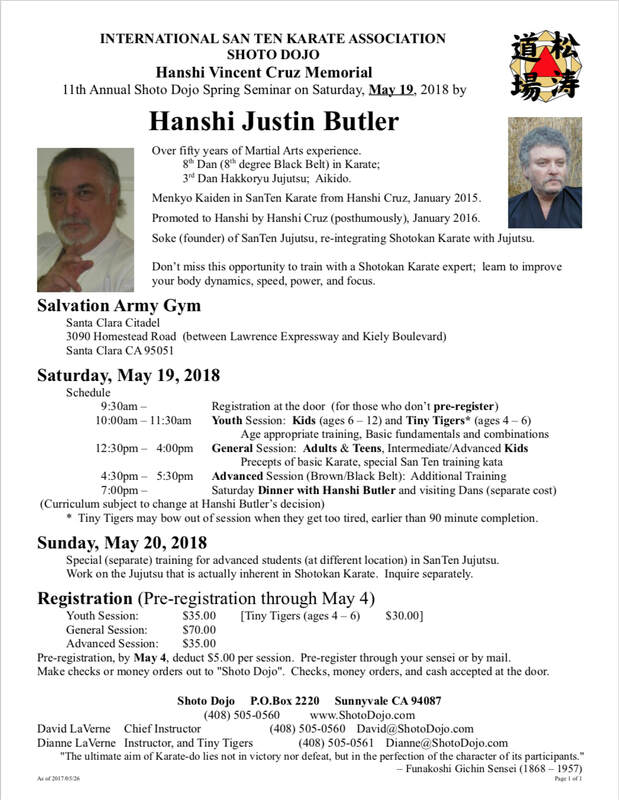 For more information, call Hanshi Rick Llewelyn at (510) 599-0581 or email us at info@santenkarate.com.